Humana has participated actively in the Feria de la Cultura Ecologica EcoSI, held this weekend at the Palau de Fires de Girona. 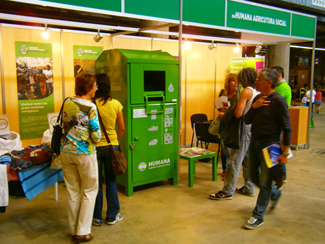 Humana has had a stand by the large audience happened inquiring about the work being carried out around textile recycling, sustainable fashion, development cooperation and social assistance, with special attention to social farming program. The Foundation has also participated in two scheduled conferences devoted to the economy of the common good and social farming, respectively. In both, David Vazquez, head of the Technical Office Collection, has been commissioned to explain how the collection of clothing and subsequent recovery allows Humana obtain the necessary resources for programs of cooperation and social support implemented. 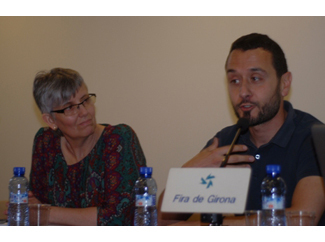 A part of these resources is intended to social farming project, which supports in Catalonia initiatives that combine sustainable food production and ecological creating opportunities for people most in need, to be in a situation of social exclusion . In total, around 8,000 people have gone over the weekend EcoSi, a number that consolidates the show as one of the most important events in the field of ecological culture.